I like simple dip recipes which resemble like Indian spicy chutney recipes. So, when I was reviewing this book, I was happy to see a recipe that closely resemble chutney recipes. Yes in India chutney recipes are spicy not as sweet as here. I decide to try this Serrano and tomato salsa. This recipe is from the book Peppers of the Americas: the Remarkable Capsicums That Forever Changed Flavor by Maricel E. Presilla . This book is an extensive research into the various peppers of the Americas with 10 chapters. It has introduction with full of the biology of the peppers, including a beautiful illustration of a pepper labeling all the parts. The book also describes about what makes peppers Hot. The description is more look like you would find in scientific journals. Then there is an archeological history of peppers, the history of expansion and exploration carried around the world. I like the part where the author grows her own peppers and even explains how to grow peppers from seed. So, people like me who can’t get certain peppers in my local grocery store can probably grow then if I can get the seeds. Then there are two galleries of fresh and dried peppers. Each comes with pictures, description and size and heat intensity. Also, there are recipes with peppers, which is only 1/4th part of the book. Recipes are detailed starting with drying peppers, roasting, broiling, storing. Dishes includes spice blends and vinegar to stews, casseroles etc. I tried Serrano and tomato salsa from this book. I like peppers and heat but trying 4 Serrano pepper in a dish with 3 tomatoes sounds too spicy for me, so I tried with 1 Serrano peppers. I found pros of this book is that you get to know different varieties of peppers in Americas we can buy the book just to read the extensive research done on each pepper. But if you are looking for recipe book with peppers this may not be the one as it has few recipes and most of the peppers mentioned in the recipes are available only in specialty stores or you need to grow them in your garden. I like it to learn about the different varieties of peppers, grab one copy if you are spice enthusiast. Fiery salsa with fresh ingredients great with chips and bread. First roast the tomatoes in a cast iron skillet by flipping them in between to make sure it roasts uniformly. Then pulse once again to make coarse kind salsa. I think I made it little mushy. Try with your favorite chips. 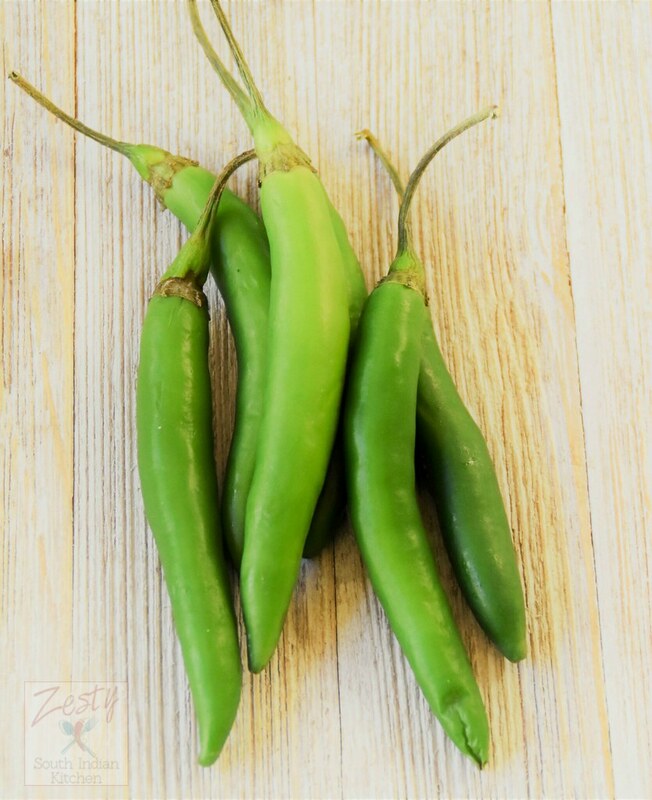 * I used only 1 Serrano pepper in original recipe it has 4 Serrano pepper which I found too spicy, if you can handle that heat it is fine. This looks so yummy! I will definitely have to make a batch for the upcoming football season! This must be a spicy salsa. Just my type of salsa. I love homemade salsas. I have enough tomatoes from the garden right now that I could make this. I love the spice from the serrano peppers. This sounds like an interesting dip. Unfortunately when you have to use certain ingredients that are not readily available, it takes away from the original recipe when you try to sub in other ingredients. Wish we had access to a great variety of fresh peppers. At least dried ones you can usually order online. I love easy salsas, they are a great pairing with a lot of things. Perfect when you have friends over. I love making salsa for my dips too! better than some of the loaded store bought stuff. This looks so refreshing. I love the combination and flavors you got going. Serrano?? Whoa, Nellie! That pepper can be extra spicy and we LOVE it!! We are fortunate to have lots of peppers available and homemade salsa is the very best! When you have great appetizers and dippers a great salsa makes a world of difference. My mouth is watering looking at the photo. That book sounds like a true gem. And this recipe is even better!! I can only imagine the flavors you brought out in the cooking process!! I’ll be looking for this cookbook. I just borrowed a peppers cookbook from the library last week … must be the season! Can’t have too many salsa recipes, in my opinion. My husband would really love this recipe! I’ll have to make it soon. Looks delicious! 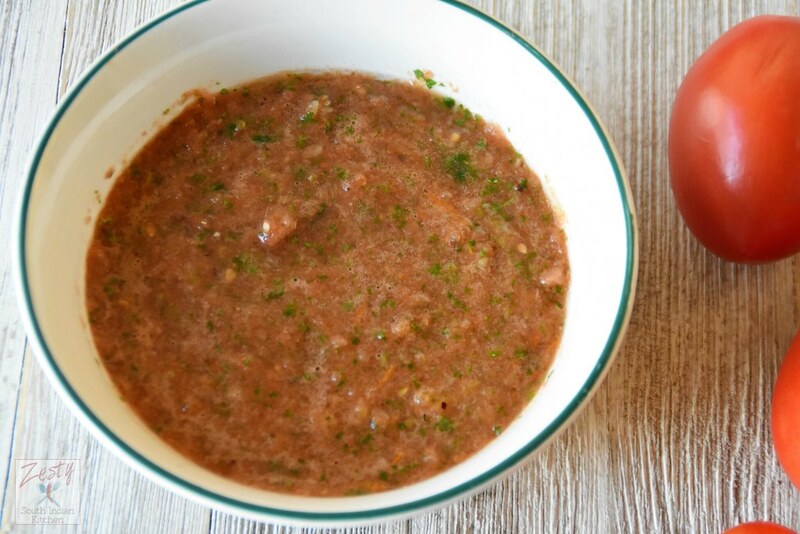 This is the kind of salsa my husband likes–no clumps! I love serranos and they go perfectly here. I love serrano peppers. What a great easy recipe. My family would love this recipe! 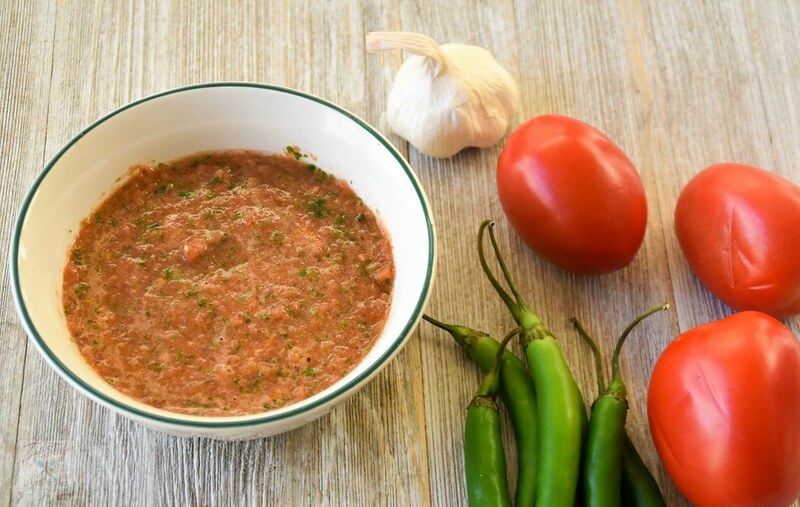 We love fresh homemade salsa – can’t get enough of it! 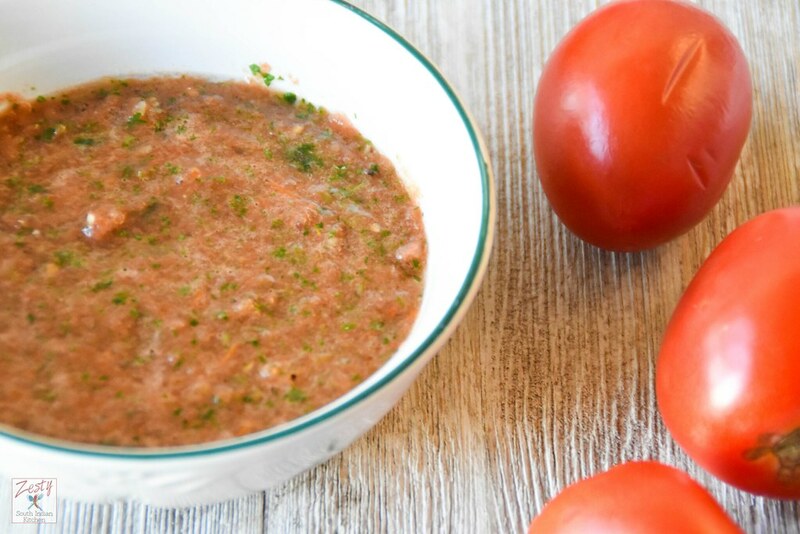 This serrano and tomato salsa looks fabulous! I love that is so spicy! Homemade salsa is always the best…love the sound of this. So fresh and flavorful! What a brilliant salsa recipe! I love the addition of serrano pepper, and the roasted tomato rather than raw!